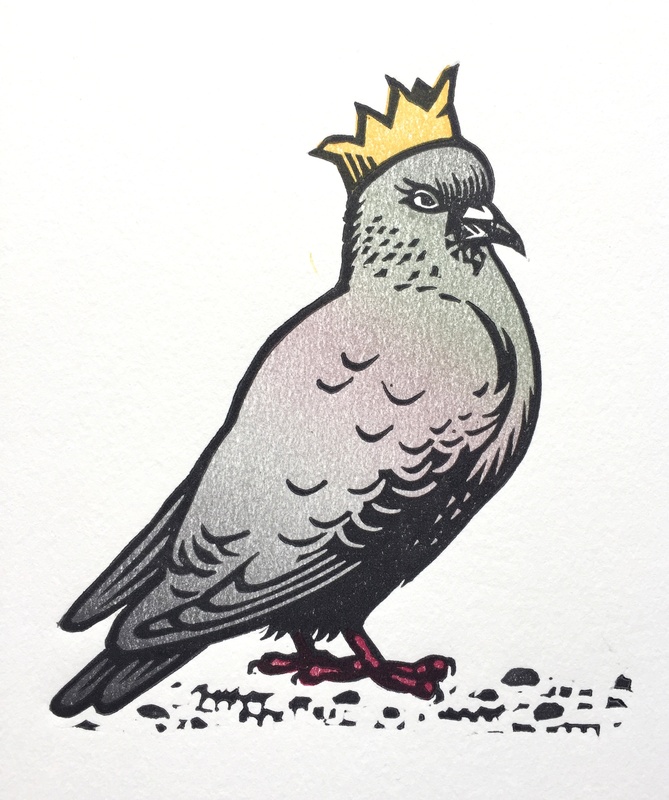 My latest linocut, Party Pigeon, is now available from my shop. It is a three block print, with a colour blend on the background. I haven’t editioned this yet, the available print is an Artist Proof. I will be editioning it soon! Below are a few photos of the process of making the linocut. I hope this is of interest to those of you making cuts at home. I started by drawing the outline for the key block in my sketchbook, then transferred this to a block of linoleum using carbon paper. 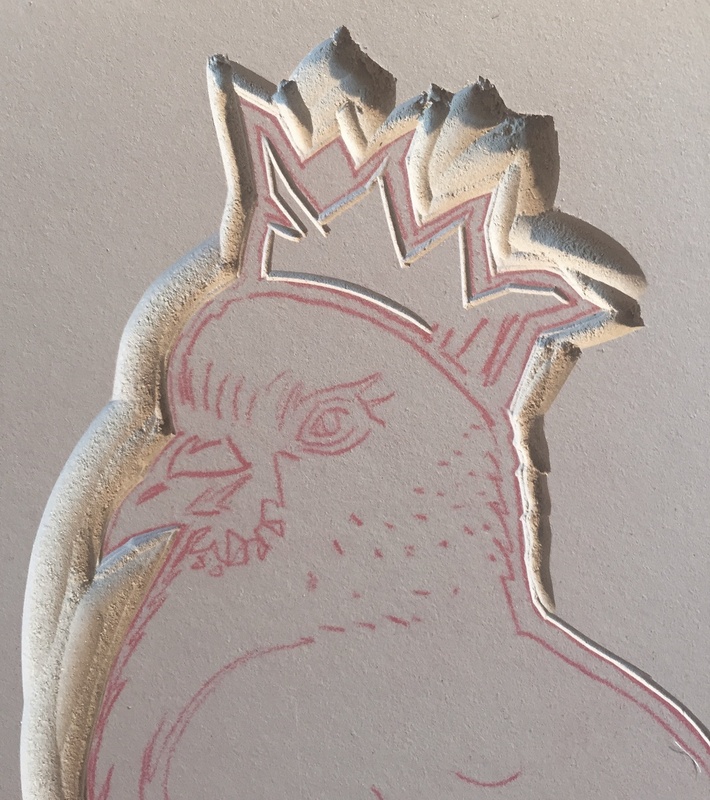 I carved and printed this and then used tracing paper to offset print the outline onto a second and third block to use as a guide to cut those. The colour blend is the subtlest I have attempted so far. The grey is mixed up of cyan, magenta and yellow ink and I added a touch of magenta and green to try to give it that iridescent look. 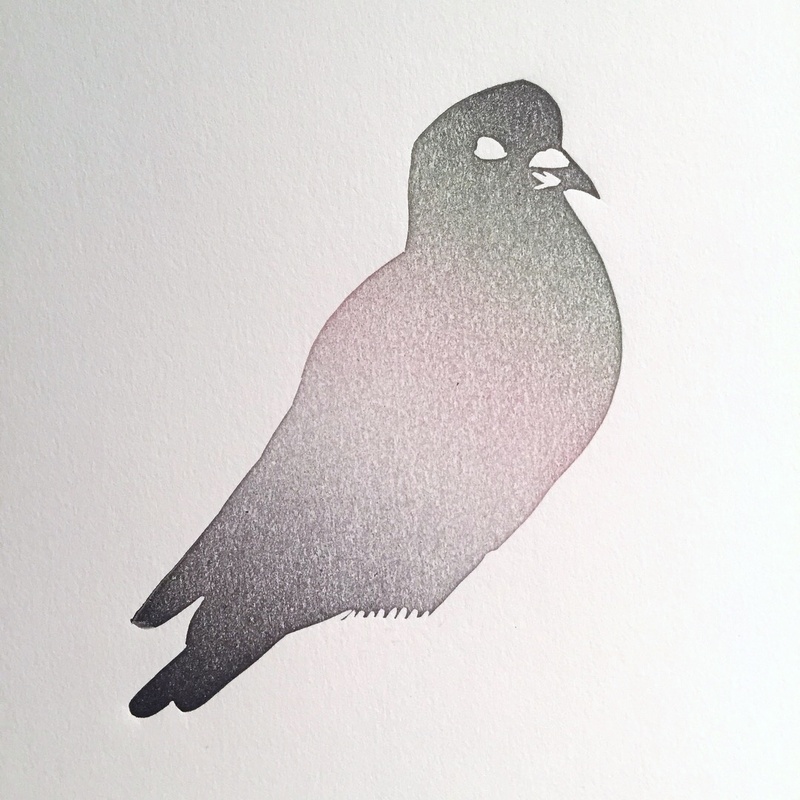 This previous blogpost explains how to print a colour blend. 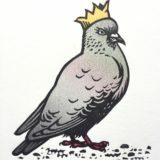 If you are interested in learning more about how I make my prints, or you’d like to learn how to linocut or improve your skills, I run regular workshops at Hello Print Studio in Margate as well as around the UK and in Italy at Opificio della Rosa. I have also written a book called Linocut for Artists and Designers, which is available from my Bigcartel shop. So great Nick – as a learnocutter it helps me so much! I also really apprecaited you explaining that it’s an artist’s proof and that you hadn’t editioned it yet – that’s what I’m struggling with. 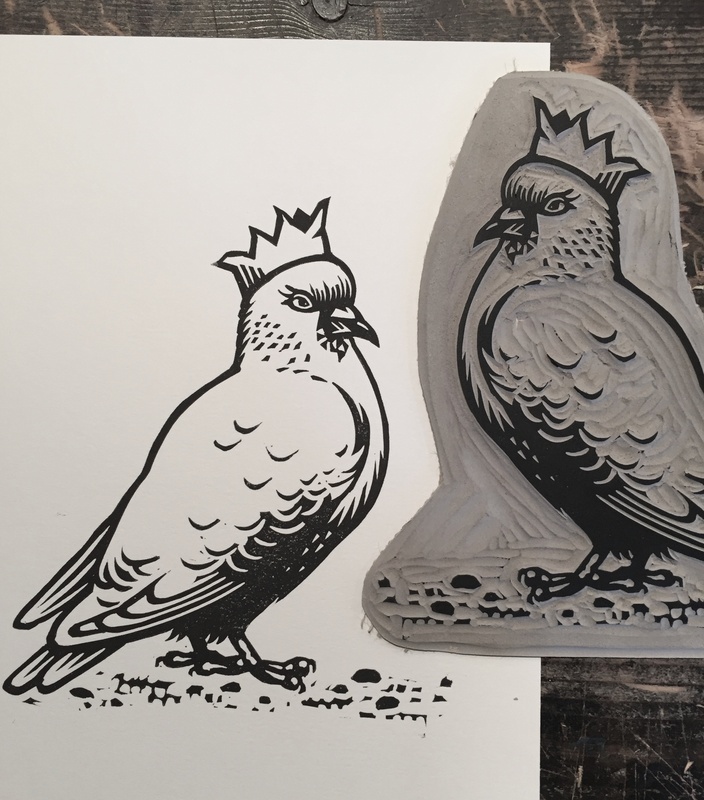 I make enough prints to know that I’m happy with my cut, but wouldn’t consider them editions. Are they just signed A/P, title and name until a proper edition is run? 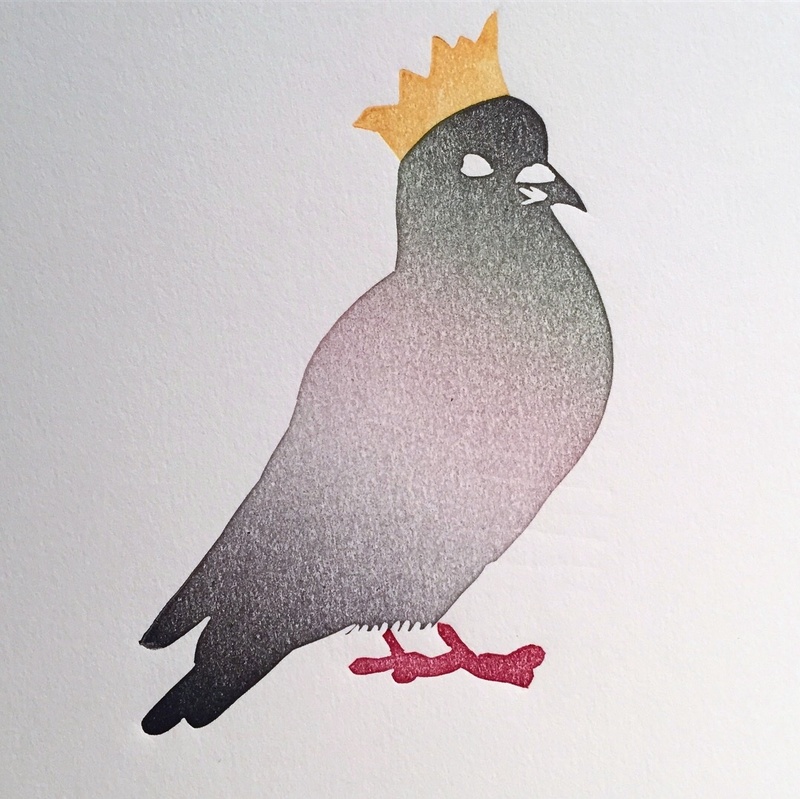 I’m trying to get enough together to open a store, but not sure I’d have editions by then – can I sell them as A/P? Is there a difference in the price? SO many questions 🙂 Thanks for teaching, it’s such a gift! It looks easier to do lino when you show via picture.